Vermont has a stunning new venue for exhibiting art…The Great Hall in Springfield, Vermont. It is located in a renovated factory building, the former Fellows Gear Shaper complex that has been gutted and is the process of reemerging as a focal point for Springfield. The Great Hall is a 100 by 45 foot room that serves as a conduit for other venues in the building and thus makes the art in its space available to a large population. 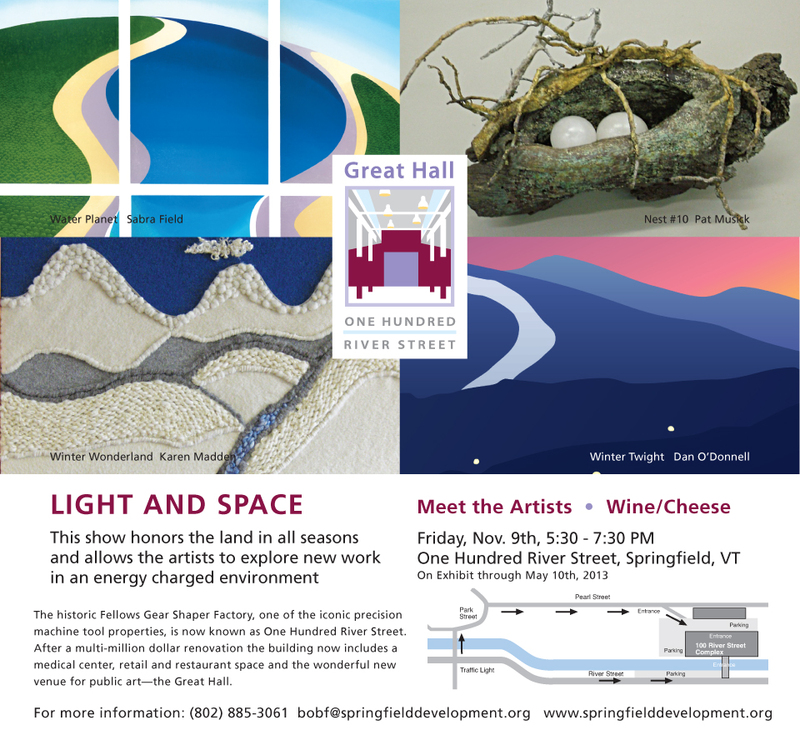 Nina Jamison, curator for the Great Hall invited me to exhibit my work for the coming six months along with three other Vermont artists, and I am thrilled to be part of this exciting event. Along with three of the Nests, she will install Hallelujah!, River Reeds 1 and Epilogue 12.